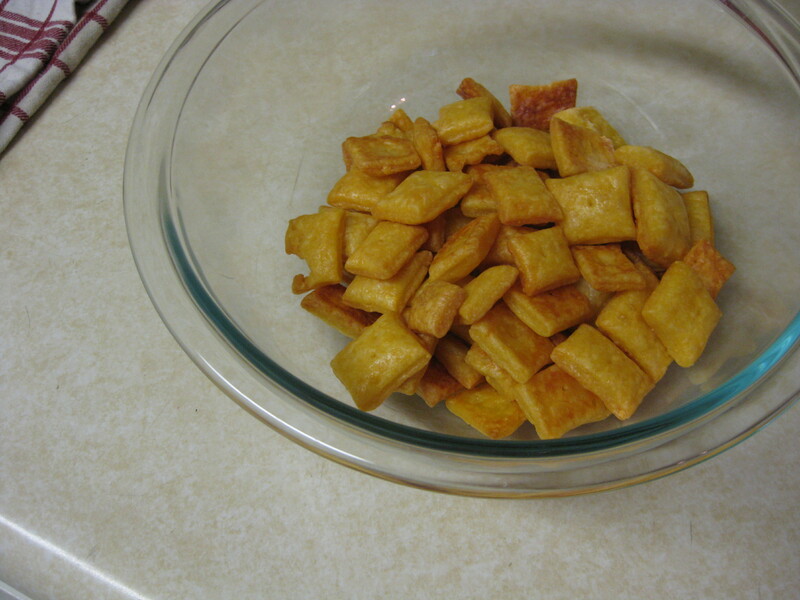 A bowl full of cheesy crackers - who could resist? Because I am a devoted scientist, and also because I could not resist the idea of hot, fresh, homemade cheese crackers, I decided to follow their recipe and repeat their experiment, to see if their results were reliable. In the name of Science, of course. Is there anything better in the world than olives? Yes. Tapenade. This salty, briny, capery mixture is pretty much the best thing ever invented. According to CliffordAWright.com, tapenade is French, from Provence, which helps explain why it’s awesome. Rob and I started making our own when we tried a recipe for grilled tuna steaks with tapenade topper. Yum. We had leftovers, so we started experimenting, putting tapenade on veggies, on crackers, on cheese, on chips, on pretty much everything. And then I started making it to bring to parties, because we always have olives and capers on hand – which is kind of weird, when you think about it, considering we’re two born-and-raised Midwesterners. But it’s a great party dish – it pairs with goat cheese, with brie, with pita chips, with bread, with hummus, with many other equally delicious things. In May of 2009, I made the grave mistake of showing my husband an article about backyard chickening in Portland. I had either forgotten or had not yet realized how tenacious Rob is when he decides on a New Hobby, and for the next three days, in every single conversation (including email exchanges, IM exchanges and pillow talk), he included some mention of raising chickens. I about lost my mind, and I did lose my temper, and I vetoed the idea of backyard chickens, and the whole thing became a fiasco. Fast forward two years, and all is worked out. We reached a Grand Compromise: No birds in the house, and we start with just three. Now, everyone’s happy, including our three Ladies: Gertie, Winnie and Dot. 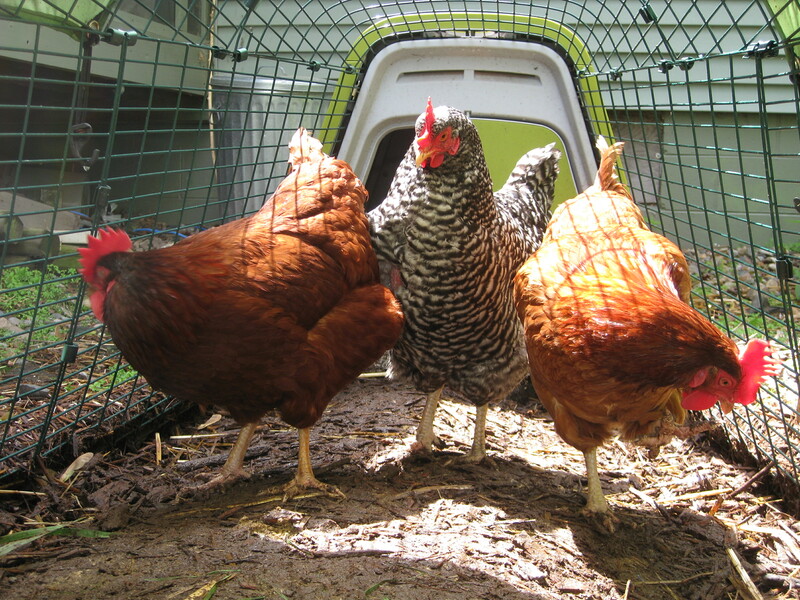 Full names: Gertrude the Red Mix (she’s a chicken-mutt), Winnifred the Barred Rock and Dorothy the Rhode Island Red. They coo and cluck and scratch and eat our bugs and dandelions and lay us eggs. You know, the more I do this DIY stuff, the more I realize how many things I buy out of sheer laziness and lack of planning. For example, vanilla. Anyway, in a Sign From The Universe, right around the time I discovered the recipe for making vanilla, I also discovered that They (the makers of most vanillas that you buy in the spice aisle) jazz it up with sugar and/or corn syrup. Really? In fact, it was an advertisement that clued me into it. Vanilla Maker A claimed their product, made with love and sugar, was better than Vanilla Maker B’s product, which was made with less love because of the corn syrup. Let’s just put aside the whole sugar/corn syrup debate for a minute to ponder why, why, why would someone want to sweeten their vanilla? I mean, doesn’t vanilla usually go into things that are ALREADY sugared? Like, cookies, cakes, pies, custards, waffles, [fill in your favorite desert here], etc… Why do we need to further sweeten ourselves? DO we need the sugar in vanilla to make it taste good?